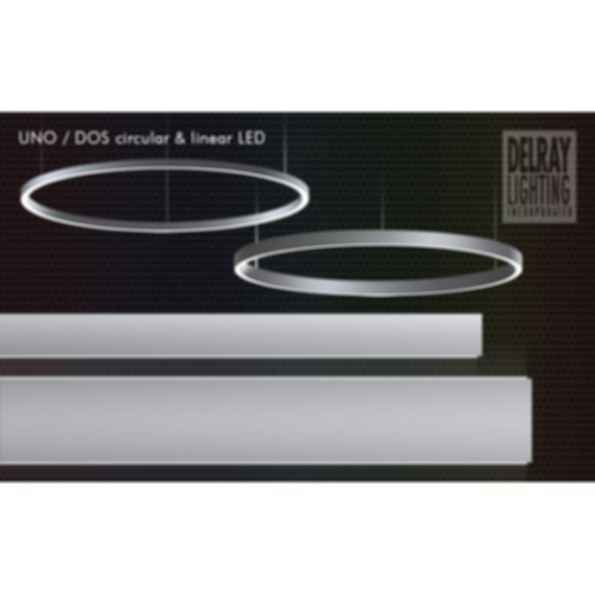 These LED fixtures provide direct/indirect lighting distribution. 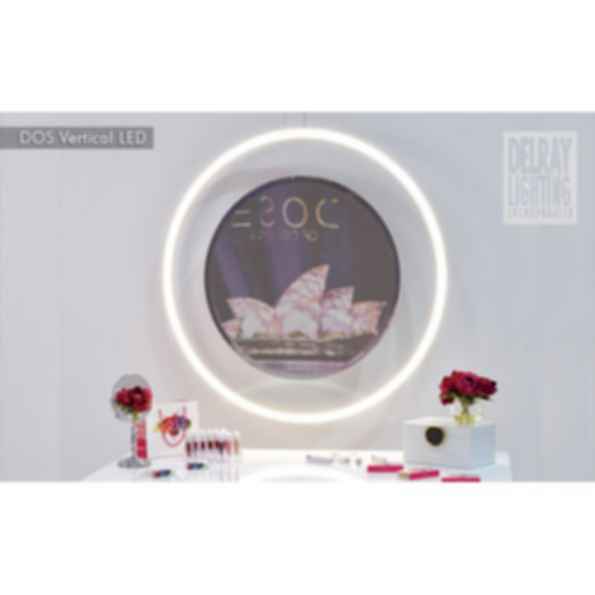 The slender extruded aluminum profiles—DOS is only 1x2 inches—bring Delray's Cylindro design into smaller spaces and lower ceilings, with more emphasis on task lighting. Opal acrylic lenses ensure even distribution of light. Powered by Nichia 90CRI chips, they're available in 3000º, 3500º and 4000ºK, as well as red, blue, and DMX-controlled RGB. 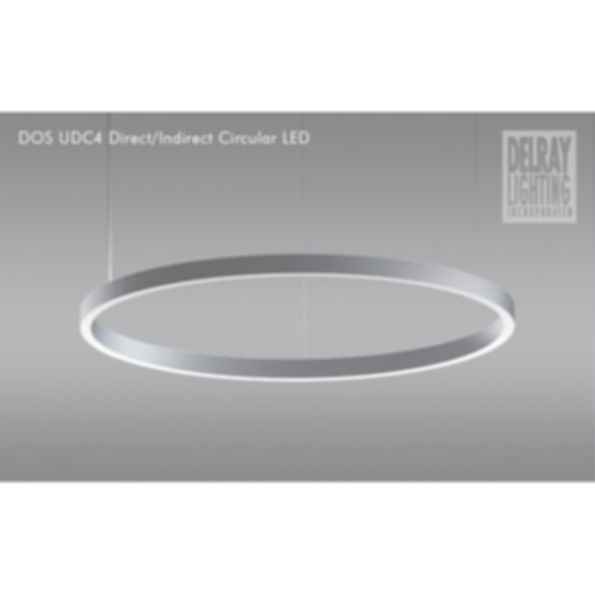 The circles are of solid, seamless construction, available in 2, 3, 4, and 5 ft. diameters, and may be hung individually or in groups to create gyroscope and cascade chandeliers. 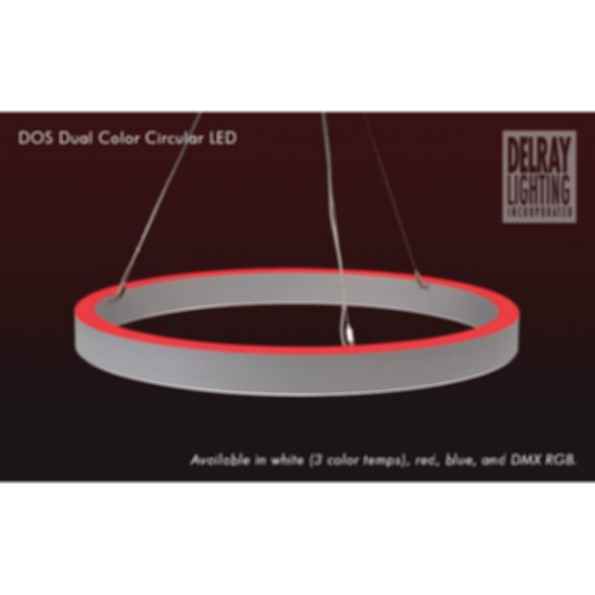 Dos dual color fixtures may be ordered with one color up, a different color down, with separate switching. 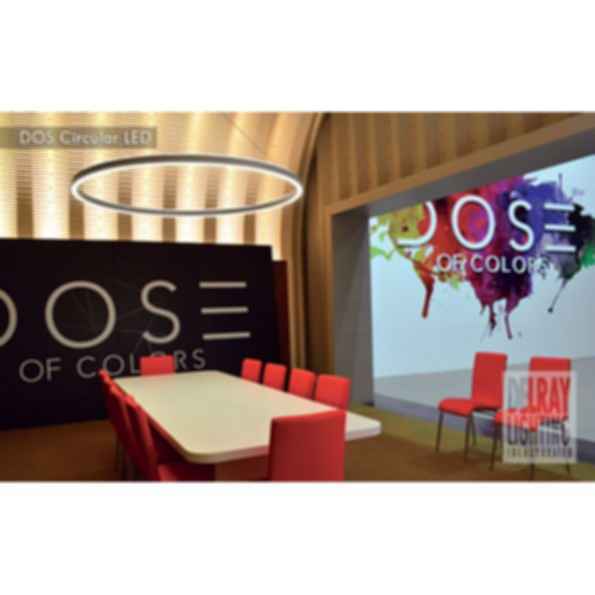 LEDs of all colors mentioned above may be installed in either side of the fixture. Dimming and EM battery pack options are available. cUL listed for dry locations.